Did we mention we love Halloween? Like, love, love it? In celebration of our favorite fall holiday [stuff it Thanksgiving], we’re devoting the entire month to creative explorations of our favorite characters and memories of All Hallow’s Eve. Today’s addition to the month long “Create Or Die” extravaganza is a softer spin on two giants – figuratively speaking – of the horror genre. 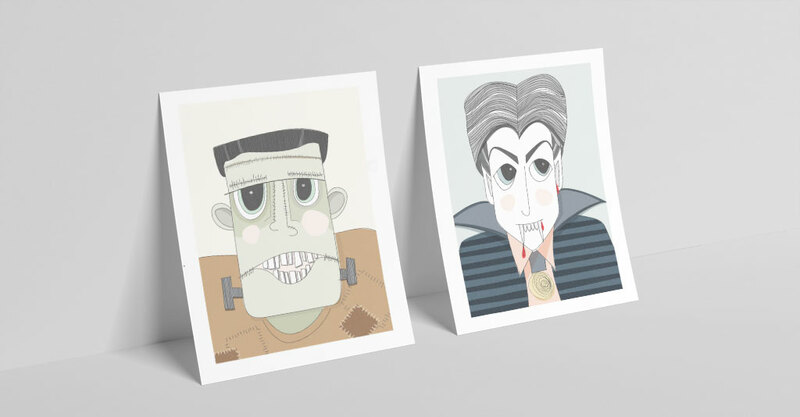 Drac and Frankie, as they are affectionately called in the office, pair a whimsical, hand-drawn style with a muted palette to break out of the traditional fight-or-flight Halloween aesthetic. 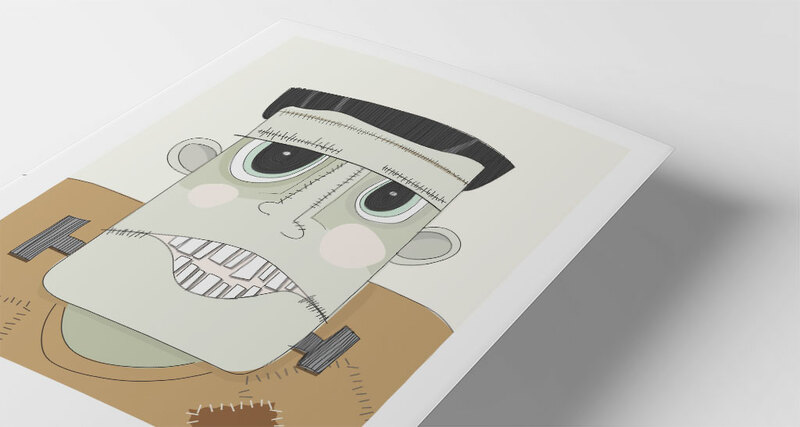 For those who love Halloween, but hate the color orange, these posters offer the perfect balance of holiday-themed fun and subtle sophistication. 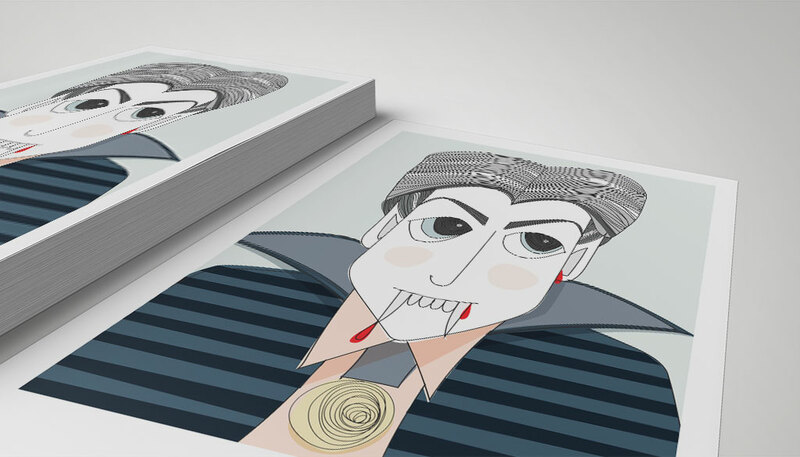 To get your very own non-limited edition print signed by the artist, send us an email at info@creativetonic.com, subject line “Drac & Frankie”.